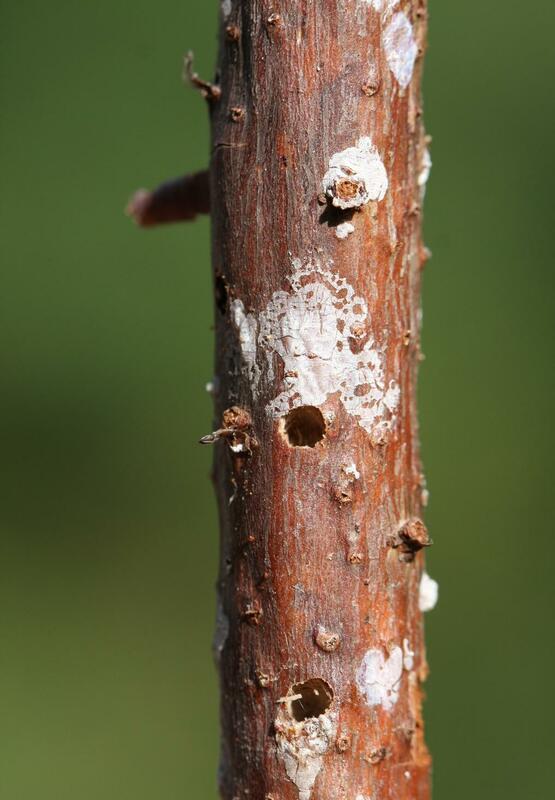 White pine weevil feeds underneath the bark of the top leader of both Blue Spruce and Engelmann Spruce trees, girdling and killing the top most growth. 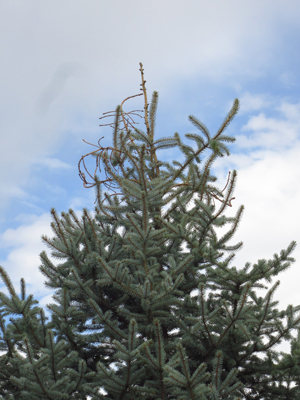 This damage results in a bushy, deformed tree that is aesthetically undesirable. 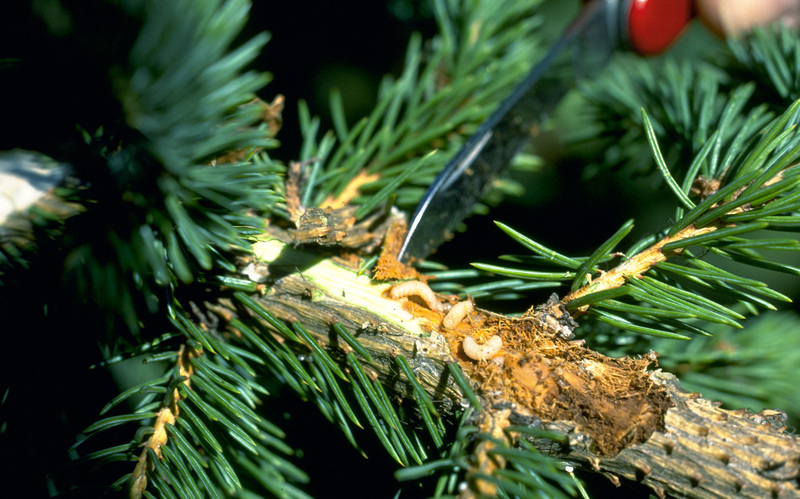 White pine weevil can be treated with a spring spray or a fall soil injection.